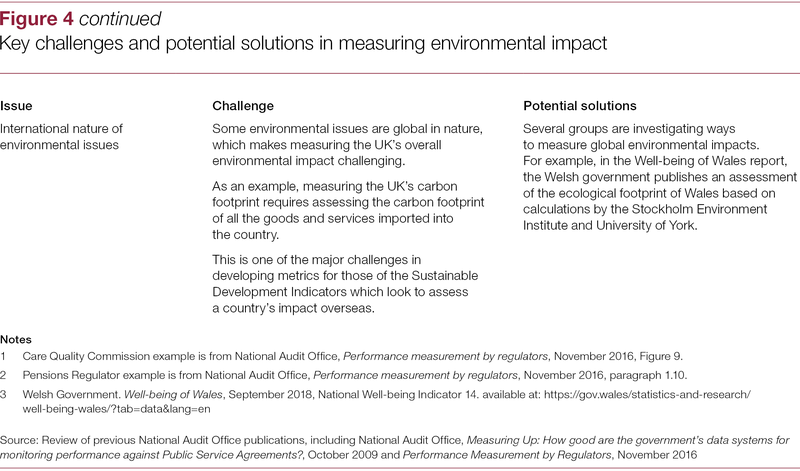 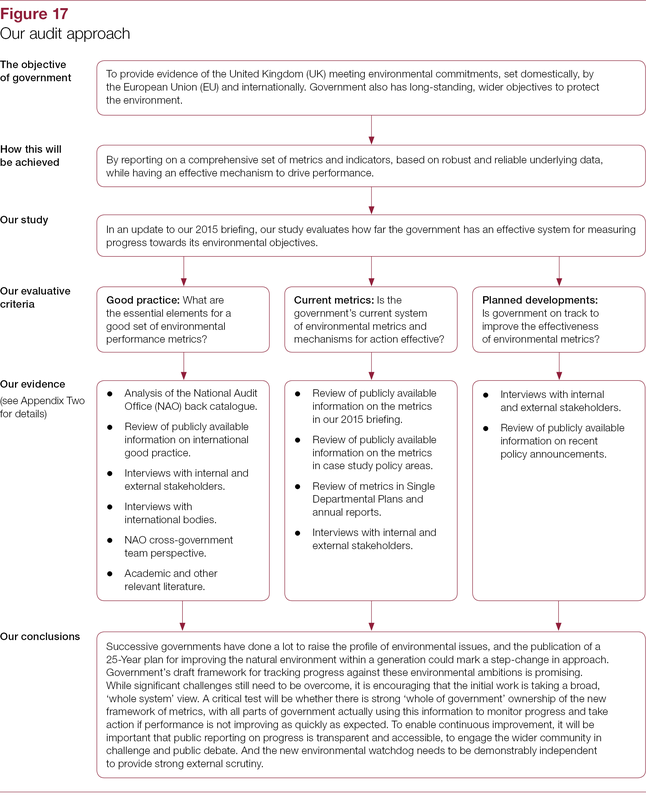 Our study evaluates how far the government has an effective system for measuring progress towards its environmental objectives. 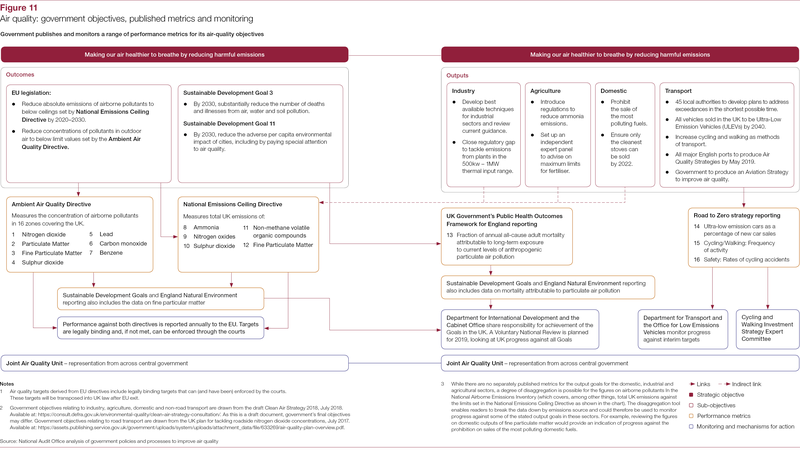 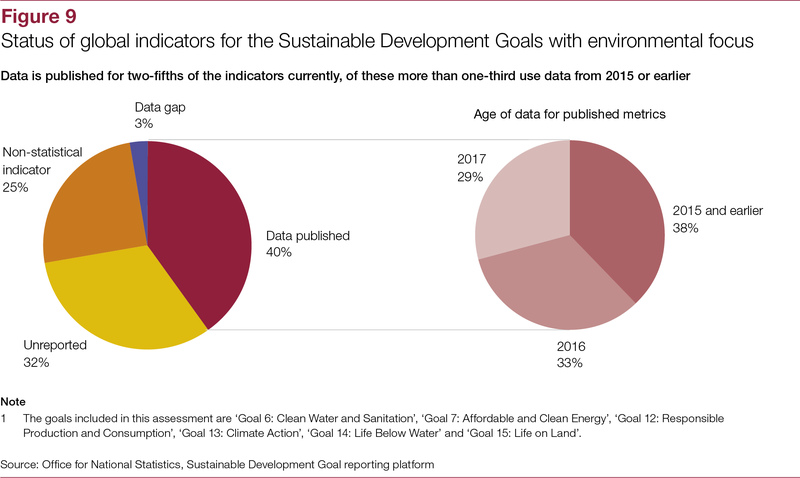 It is essential for government to have an effective system for measuring its environmental performance, in order to understand whether it is on track to meet its long-term environmental goals; assess the effectiveness of new and existing policy interventions; and fulfil its international obligations on environmental reporting. 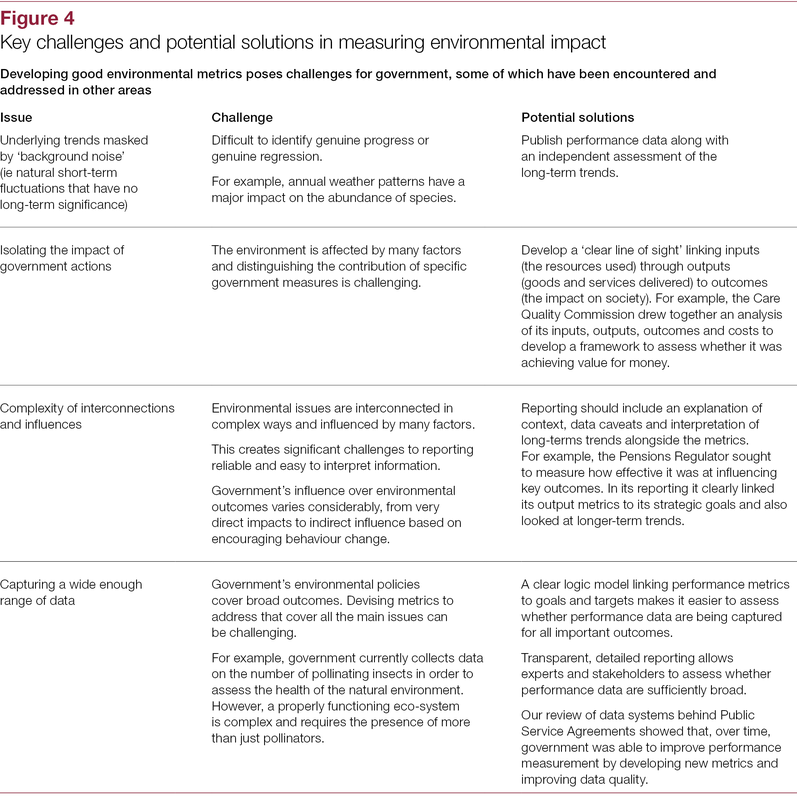 Robust data on performance are also essential for Parliament and the public to be able to hold government to account on how it meets its obligations and spends taxpayers’ money. 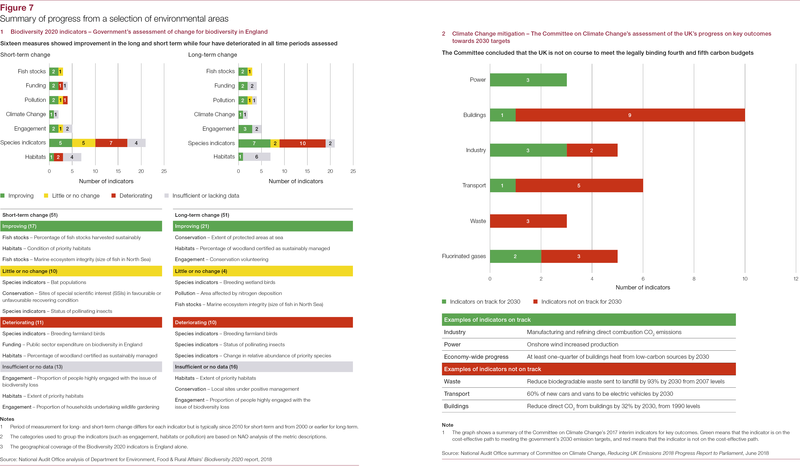 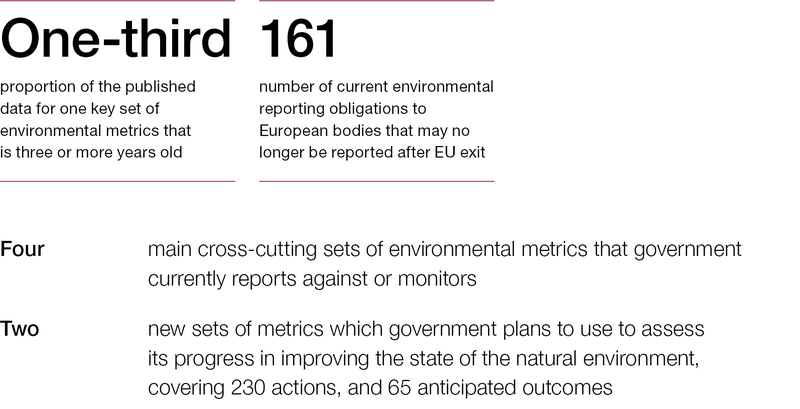 We prepared this report in response to a request from the Environmental Audit Committee to update our 2015 briefing on environmental and sustainability metrics. 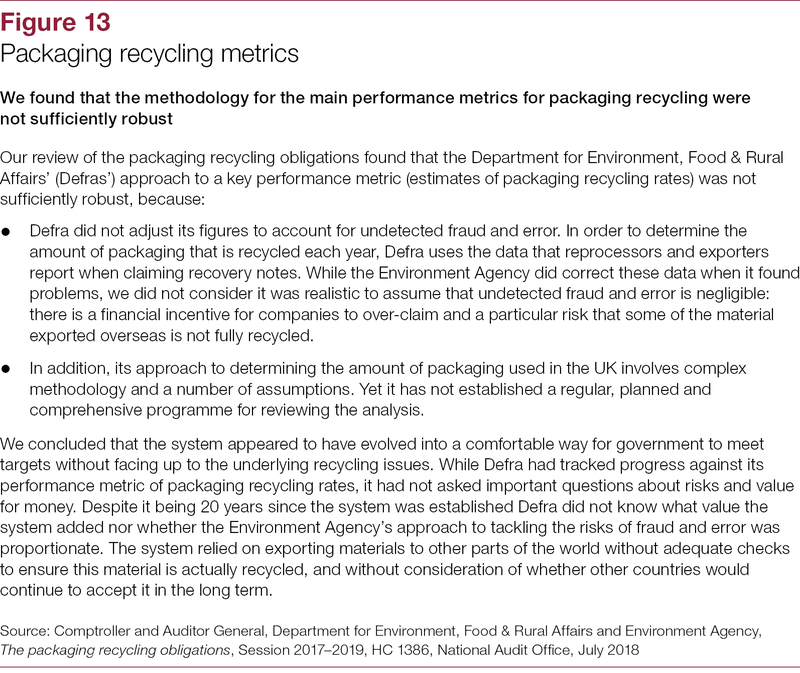 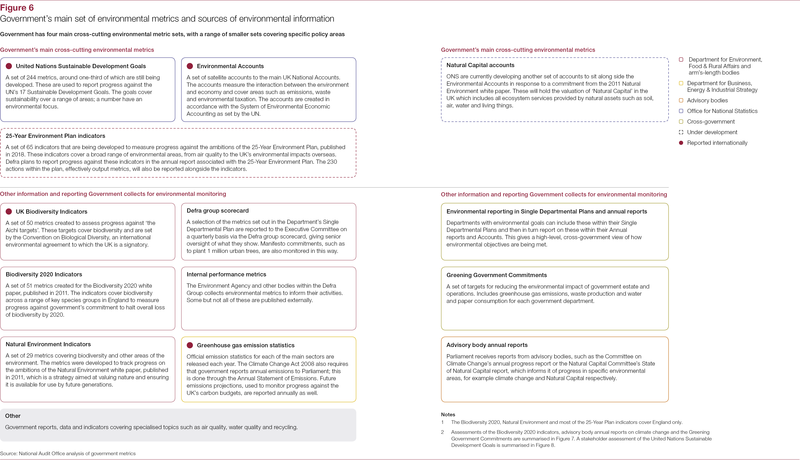 This raised concerns about the timeliness of some of government’s environmental data, these data’s alignment with the government’s objectives, and whether there were enough mechanisms to enable the government to take action if performance was poor. 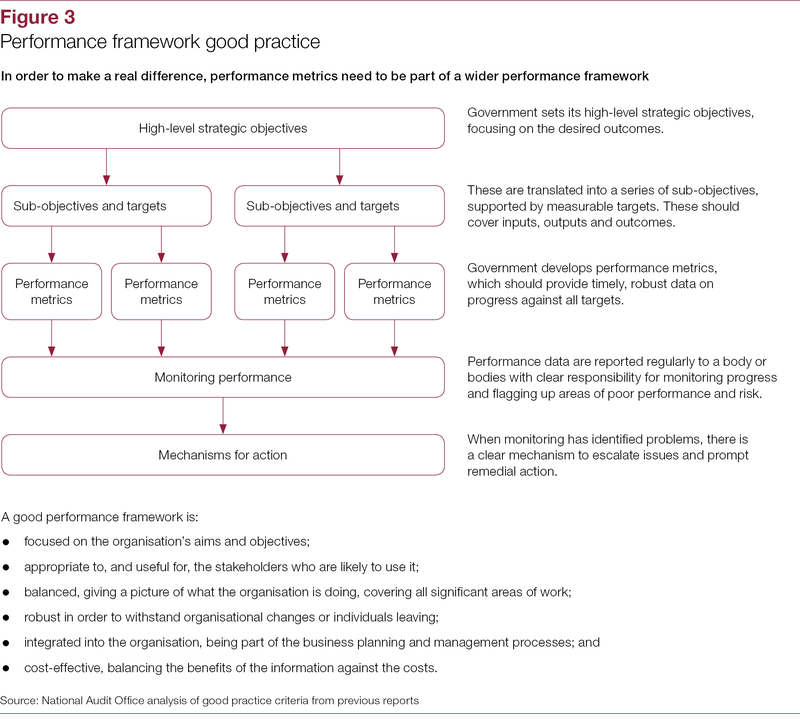 This report sets out our expectations of good practice for an effective system of performance metrics based on our experience of reviewing government approaches to managing performance (Part One). 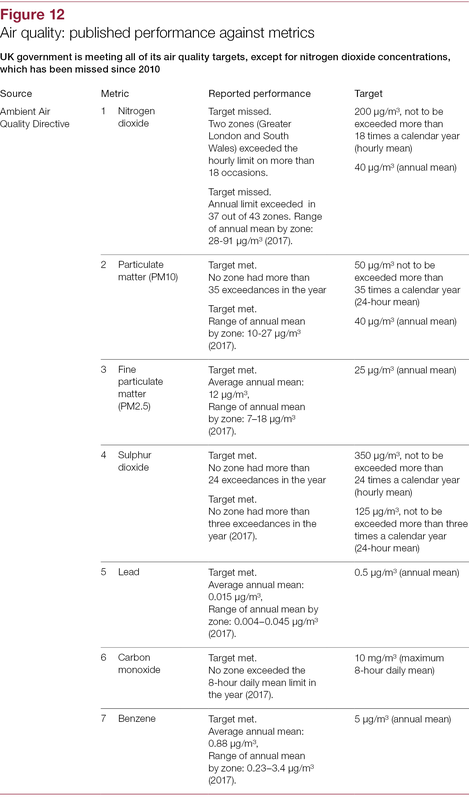 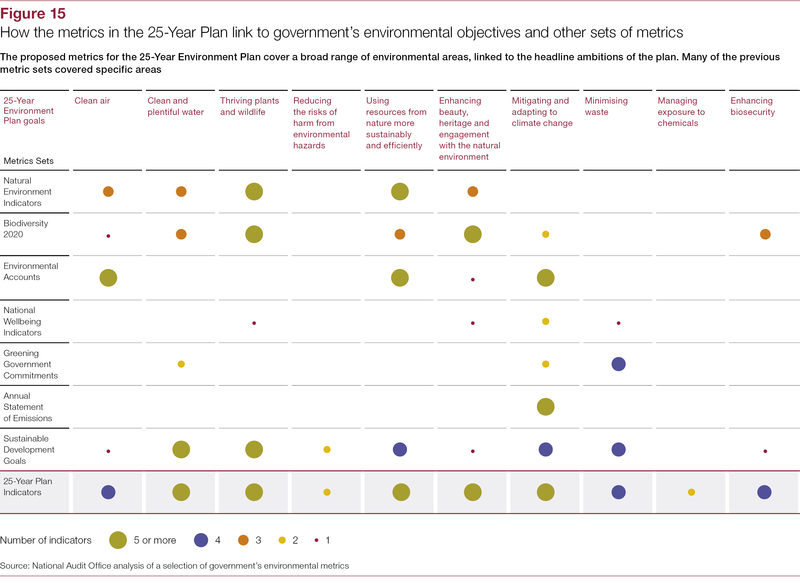 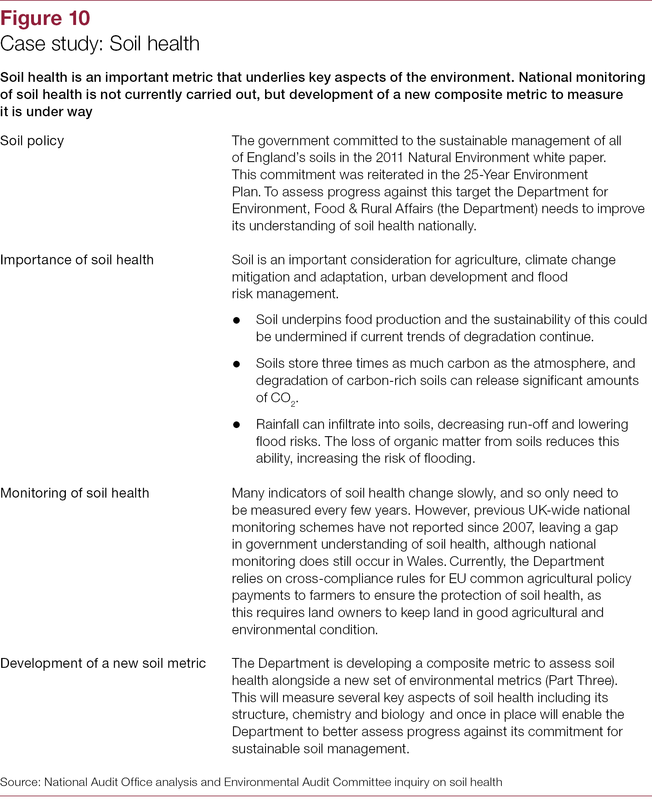 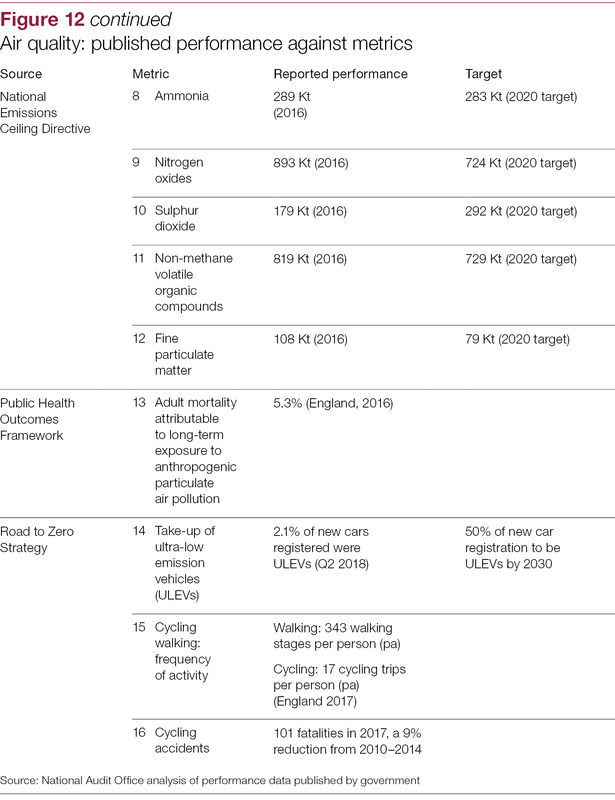 It also examines the government’s current environmental metrics (Part Two) and its plans for developing new metrics (Part Three). 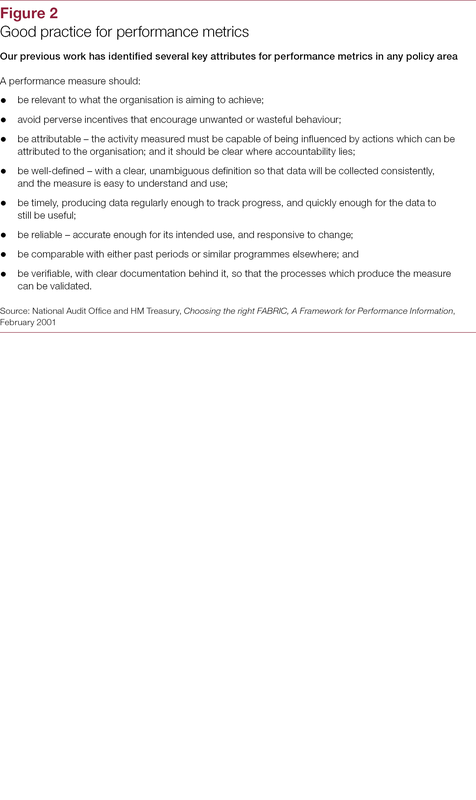 We focus on the metrics that relate to England or are UK-wide. 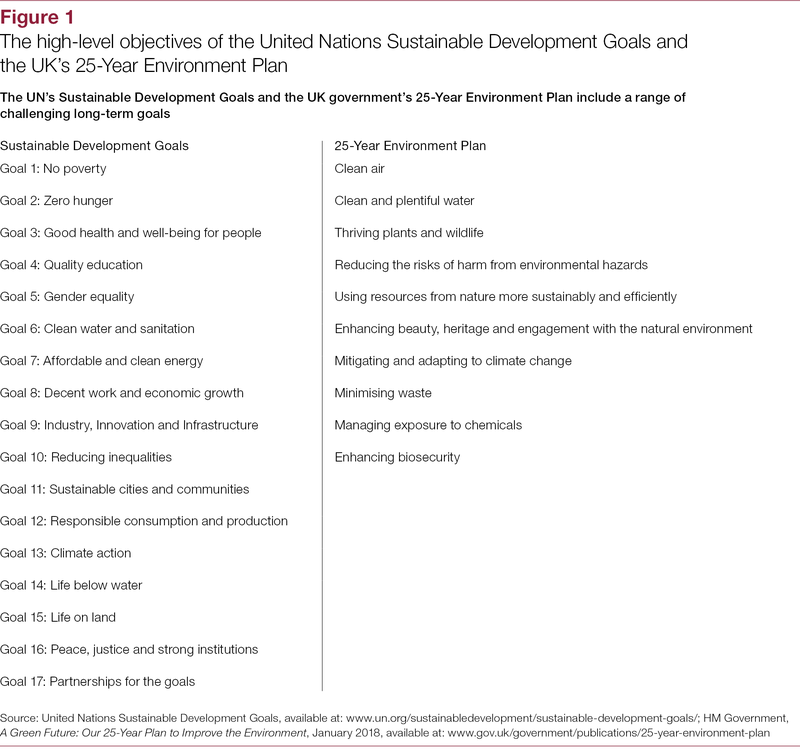 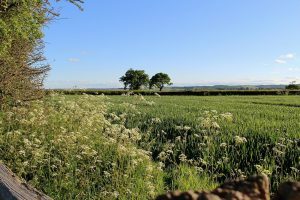 Successive governments have done a lot to raise the profile of environmental issues, and the publication of a 25-year plan for improving the natural environment within a generation could mark a step-change in approach. 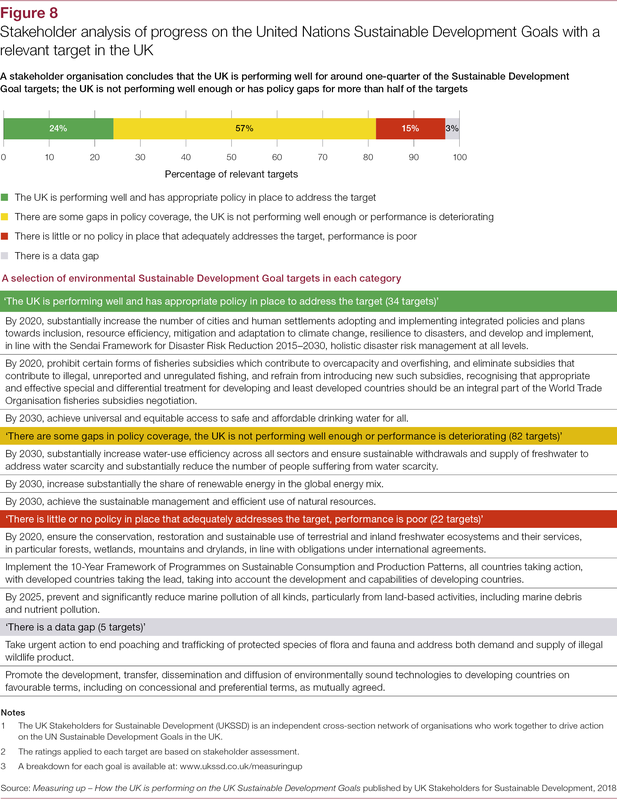 Government’s draft framework for tracking progress against these environmental ambitions is promising. 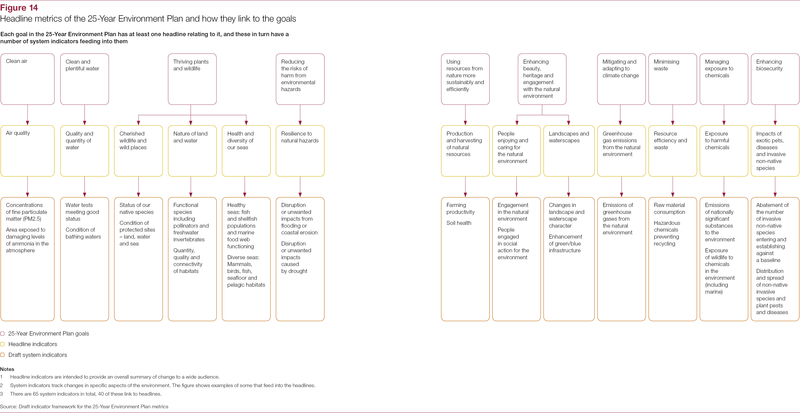 While significant challenges still need to be overcome, it is encouraging that the initial work is taking a broad, ‘whole system’ view. 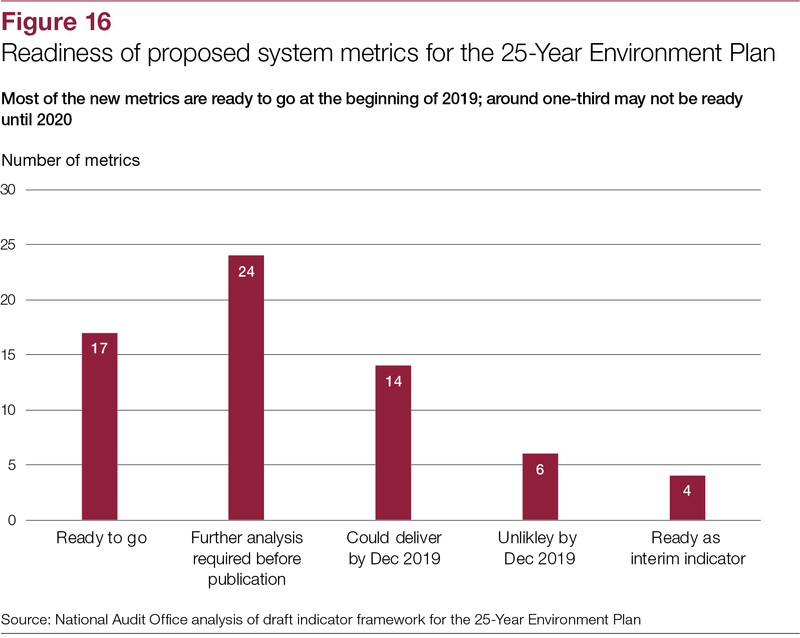 A critical test will be whether there is strong ‘whole of government’ ownership of the new framework of metrics, with all parts of government actually using this information to monitor progress and take action if performance is not improving as quickly as expected. 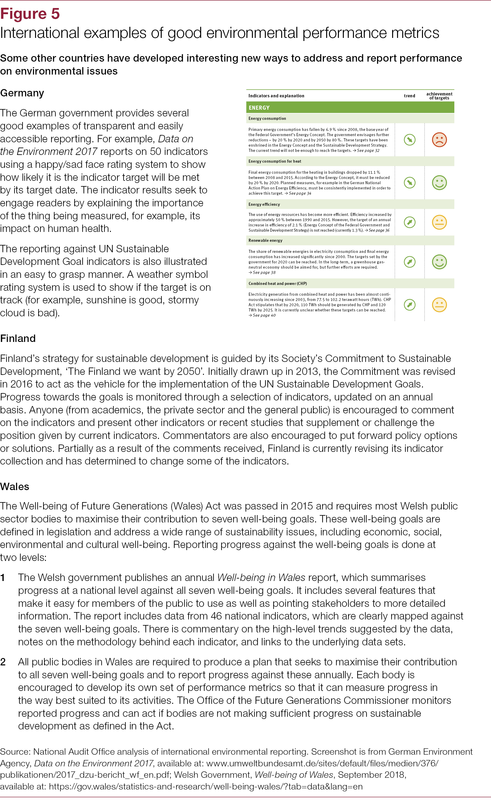 To enable continuous improvement, it will be important that public reporting on progress is transparent and accessible, to engage the wider community in challenge and public debate. 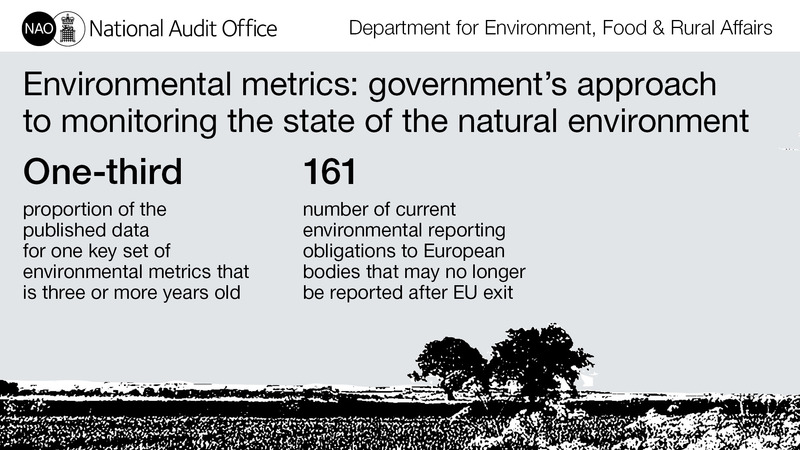 And the new environmental watchdog needs to be demonstrably independent to provide strong external scrutiny.